Ashburton Grove - Arsenal news and Arsenal opinion: What was "injured" Robin van Persie doing training pre Barca this morning? 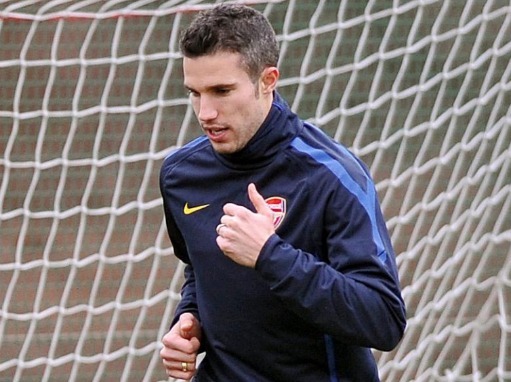 What was "injured" Robin van Persie doing training pre Barca this morning? Some very interesting images have appeared on the official Arsenal website of Robin van Persie training with his team mates this morning. If a player like van Persie is said to be injured and out until the start of next month, what is he doing practicing? Could the Dutchman's injury not be as bad as first feared? More will become apparent when Arsene Wenger speaks with the media at the Camp Nou this evening. NOTE: This post has now been superseded by the news Robin van Persie is in the squad.